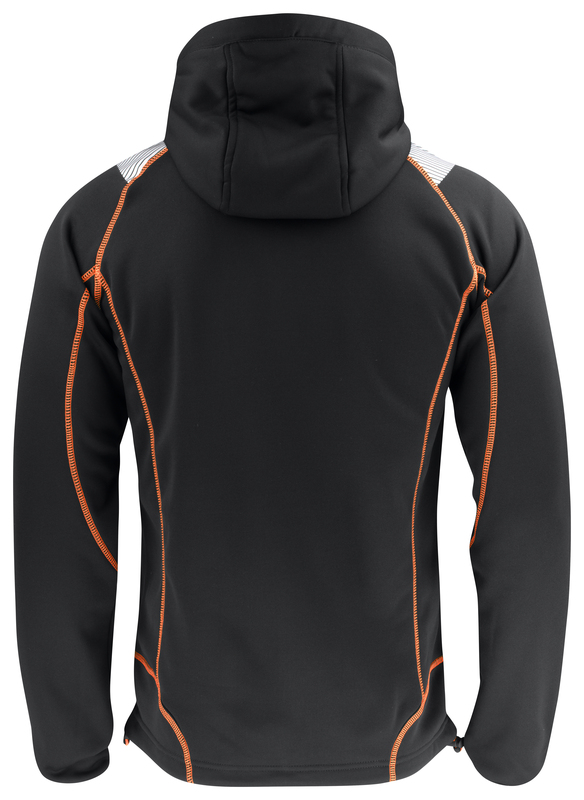 This hoodie is made for comfort and an active day. Great pocket layout with reflective piping and strips for good visibility. The front pocket has a built-in ID compartment that can be flipped out of the hoodie for continuous ID display while on the move. Figure-hugging fit for ease of movement. Fleece inside for insulation. Practical pockets and adjustable hood and hem. 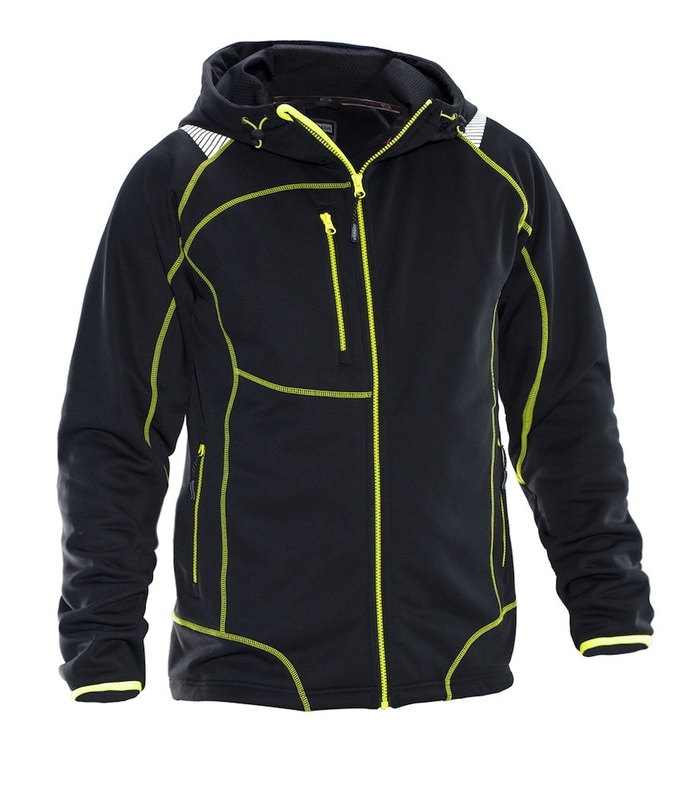 Seams and zip in fluorescent color and reflective on shoulders for enhanced visibility. Fits great is warm enough and shields water enough. Perfect for early morning wear especially with day light savings change. Interior pocket big enough to hold a small IPad or paperback. You can put papers in this pocket when a rain shower comes along. It has the bonus of a slimming effect.